The lucky number is 3,105. 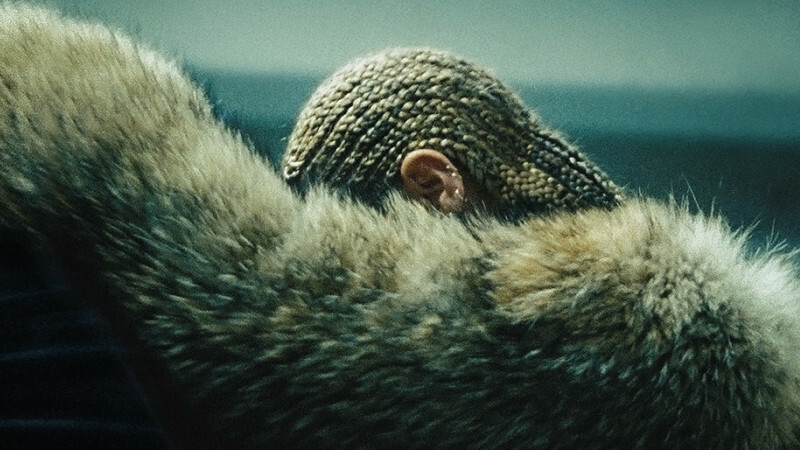 That’s the amount of words packed into the credits for Beyoncé’s latest industry-shaking album, Lemonade. As was the case with her 2013 album, which coined the phrase “pull a Beyoncé,” the long-anticipated release arrived as a surprise on Tidal last night (April 23), supplied with a stacked list of collaborators, interpolations, samples, and many “contains elements of” credits. Making up the row of featured guests are The Weeknd, Kendrick Lamar, James Blake, and Jack White. Meanwhile, names scattered throughout the eye-straining toil of liner notes are Diplo, Melo-X, Rae Sremmurd’s Swae Lee, Belly, Led Zeppelin, Jon Brion, and Soulja Boy (Yes, Soulja Boy Tell Em! Boy Tell Em!). All in all, there’s just so much musical history embedded within Beyoncé’s 12-track Lemonade that we couldn’t help but bring to light. There’s plenty of fascinating choices for the album’s list of samples and interpolations. Among them are Led Zeppelin’s “When the Levee Breaks,” which is featured on “Don’t Hurt Yourself.” Soulja Boy even makes a surprising appearance on the LP, thanks to having a line from his 2009 hit “Turn My Swag On” referenced on “Hold Up.” Burt Bacharach and Hal David’s “Walk On By” is referenced on The Weeknd-assisted song “6 Inch.” OutKast also gets credited on “All Night,” which throws a nod to the famous horn section on 1998’s “Spottieottiedopaliscious.” Alan Lomax, a storied collector of folk music, gets a credit for the song “Freedom,” thanks to its interpolation of two field recordings fro the 1940s and 1950s. For the album’s full credits of over 129 names, see below. Written By Thomas Wesley Pentz, Ezra Koenig, Beyoncé, Emile Haynie, Joshua Tillman, Uzoechi Emenike, Sean Rhoden P/K/A Melo-X, Doc Pomus, Mort Schuman, Deandre Way, Antonio Randolph, Kelvin Mcconnell, Brian Chase, Karen Orzolek And Nick Zinner / Published By Songs Music Publishing, Llc (ASCAP) Obo I Like Turtles Music, Neon Reggae Co-Op City, Wb Music Corp. (Ascap) And Oakland 13 Music (ASCAP) All Rights Administered By Wb Music Corp. Obo Itself And Oakland 13 Music, Universal Music Corp./Heavycrate Publishing (Ascap), Sugar Pop Meow Meow (ASCAP), Warner/Chappell Music Ltd. (Prs), Meloxtra Publishing (Bmi) , Unichappell Music, Inc. (BMI), 456 Music Associates (BMI) All Rights Administered By Unichappell Music, Inc. (BMI), Soulja Boy Tell’em Music (BMI) Emi Blackwood Music Inc./Disaster Publishing/Big-N-Mage Publishing (BMI) Chrysalis Music LTD/BMG Blue (BMI). All Rights Administered By Bmg Rights Management (Us) Llc / Produced By Diplo, Beyoncé And Ezra Koenig / Vocal Production By Beyoncé / Background Vocals By Melo-X / Guitar By Jr Blender / Drum Programming By Diplo And Jr Blender / Mixed And Recorded By Stuart White / Assisted By Jon Shacter / Second Engineering By Ramon Rivas / Assistant Mix Engineering By John Cranfield / Recorded At Record Plant Studios In Los Angeles, CA And Mad Decent Studios In Burbank, Ca / Mixed At Pacifique Recording Studios In North Hollywood, CA / Pacifique Studio Assistant: Arthur Chambazyan / Mastered By Dave Kutch Of The Mastering Palace NYC At Pacifique Recording Studios, North Hollywood, CA Contains Elements Of “Can’t Get Used To Losing You” Written By Doc Pomus And Mort Shuman. Published By Unichappell Music, Inc. (BMI) And 456 Music Associates (BMI) All Rights Administered By Unichappell Music, Inc. (BMI). This Composition Embodies Portion Of “Turn My Swag On” Written By Deandre Way, Antonio Randolph And Kelvin Mcconnell. Published By Soulja Boy Tell’em Music (BMI), EMI Blackwood Music Inc./Disaster Publishing/Big-N-Mage Publishing (BMI) Contains Elements Of “Maps” Written By Brian Chase, Karen Orzolek And Nick Zinner, Published By Chrysalis Music Ltd/BMG Blue (BMI). All Rights Administered By BMG Rights Management (US) LLC. Written By Jack White, Beyoncé, Diana “Wynter” Gordon, James Page, Robert Plant, John Paul Jones, John Bonham Published By Third String Tunes (Bmi), Wb Music Corp. (Ascap) And Oakland 13 Music (Ascap) All Rights Administered By Wb Music Corp. Obo Itself And Oakland 13 Music, Wb Music Corp. (Ascap) Obo Itself And Lots Of Lyrics Entertainment (Ascap) All Rights Obo Itself And Lots Of Lyrics Entertainment Administered By Wb Music Corp., Flames Of Albion Music, Inc. (Ascap). All Rights Administered By Wb Music Corp. (Ascap) All Rights Reserved. / Produced By Jack White And Beyoncé / Co-Produced By Derek Dixie / Vocal Production By Beyoncé / Background Vocals By Ruby Amanfu / Recorded By Stuart White, Vance Powell And Joshua V. Smith / Additional Overdubs By Joshua V. Smith / Second Engineering By Ramon Rivas / Bass Guitar By Jack White / Drums By Patrick Keeler / Hammond Organ By Mark Watrous / Mixed By Stuart White / Assistant Mix Engineering By John Cranfield / Strings By Eric Gorfain, Daphne Chen, Charlie Bisharat, Josefina Vergara, Songa Lee, Marisa Kuney, Neel Hammond, Susan Chatman, Katie Sloan, Amy Wickman, Lisa Dondlinger, Terry Glenny, Ina Veli, Gina Kronstadt, Yelena Yegoryan, Radu Pieptea, Crystal Alforque, Serena Mckinney, Leah Katz, Alma Fernandez, Rodney Wirtz, Briana Bandy, Anna Bulbrook, Grace Park, Richard Dodd, John Krovoza, Ira Glansbeek, Vanessa Fairbairn-Smith, Ginger Murphy, Adrienne Woods, Denise Briese, Ryan Cross, Geoff Osika, Mark Watrous, Fats Kaplan, Lindsey Smith-Trestle / Orchestrations By Eric Gorfain / String Arrangement By Jon Brion / Strings Engineered By Greg Koller / Additional Drum Programming By Derek Dixie / Protools Editing/Recording By Eric Caudieux At Henson Studios In Los Angeles, Ca And Joshua V. Smith / Additional Instrumentation Recording By Lester Mendoza At Skip Saylor Recording Studio In Northridge, Ca / Recorded At Jungle Studios In New York City / Mixed At Pacifique Recording Studios In North Hollywood, Ca / Pacifique Studio Assistant: Arthur Chambazyan / Additional Studio Assisting By Ed Spear / Mastered By Dave Kutch Of The Mastering Palace Nyc At Pacifique Recording Studios, North Hollywood, Ca Features Sample From The Led Zeppelin Recording “When The Levee Breaks,” Produced Under License From Atlantic Recording Corp. By Arrangement With Rhino Entertainment Company, A Warner Music Group Company. Written By James Page, Robert Plant, John Paul Jones, John Bonham, Published By Flames Of Albion Music, Inc. (Ascap). All Rights Administered By WB Music Corp. (Ascap) All Rights Reserved. Written By Diana “Wynter” Gordon, Sean Rhoden P/K/A Melo-X, Beyoncé / Published By Wb Music Corp. (Ascap) Obo Itself And Lots Of Lyrics Entertainment (Ascap) All Rights Obo Itself And Lots Of Lyrics Entertainment Administered By Wb Music Corp., Meloxtra Publishing (Bmi), Wb Music Corp. (Ascap) And Oakland 13 Music (Ascap) All Rights Administered By Wb Music Corp. Obo Itself And Oakland 13 Music / Produced By Melo-X, Beyoncé And Wynter Gordon / Co-Produced By Hit-Boy For Hits Since ’87 / Additional Production By Stuart White / Vocal Production By Beyoncé / Additional Programming By B. Carr / Background Vocals By Chrissy Collins / Mixed And Recorded By Stuart White / Second Engineering By Ramon Rivas / Assistant Mix Engineering By John Cranfield / Recorded In The Beehive, Los Angeles, Ca / Mixed At Pacifique Recording Studios In North Hollywood, Ca / Pacifique Studio Assistant: Arthur Chambazyan / Mastered By Dave Kutch Of The Mastering Palace Nyc At Pacifique Recording Studios, North Hollywood, CA. Hillary Clinton On Beyonce’s 'Lemonade,' "It’s Great"
REVOLT IMO | The best song on Beyonce's 'Lemonade' album?